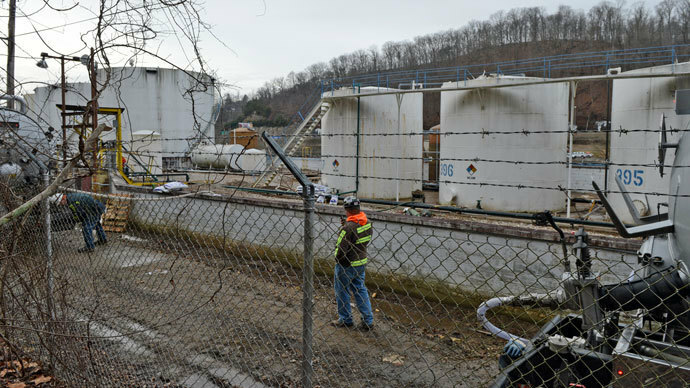 Weeks after spilling about 10,000 gallons of chemicals into West Virginia's Elk River, chemical maker Freedom Industries reported another toxic leak Thursday at their facility in Charleston. Yet none of the material has reached the river, officials said. Contractors for Freedom Industries hit an underground pipe with an excavator Thursday night, unleashing water and the same crude MCHM chemical that leaked from the company’s tank farm into the Elk River on Jan. 9. 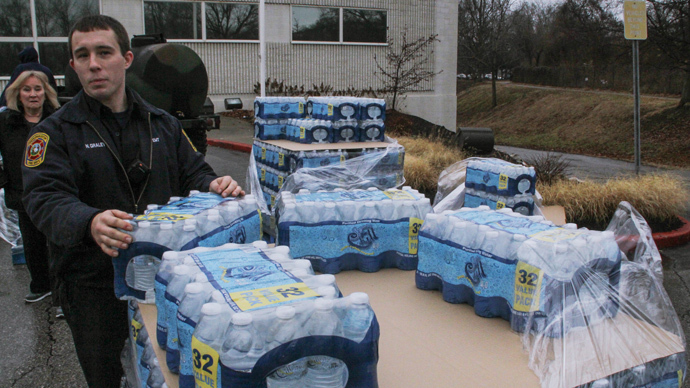 The earlier incident ultimately spoiled drinking water for around 300,000 nearby residents. An undetermined amount of material spilled into a cutoff trench on Thursday, staying away from the river, the West Virginia Department of Environmental Protection said. Though just as an earlier spill weeks ago, the leak released a black-licorice odor into the air. 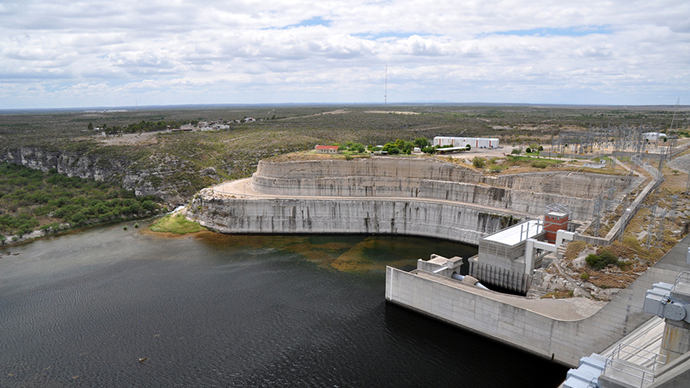 The rupture happened around 19:00 EST Thursday evening before containment, according to the department’s director of emergency response and homeland security, Mike Dorsey. "It wasn't so much of an incident," Dorsey said, the Charleston Gazette reported. "None of the stuff got into the river." Dorsey described the amount of the coal-cleaning chemical MCHM - a moniker for 4-methylcyclohexanemethanol - that was involved as "a trickle." "It was tens of gallons," Dorsey said, "not hundreds or thousands of gallons." Cleanup crews from Diversified Services, a contractor for Freedom Industries, were in the process of enlarging the cutoff trench when the pipe was inadvertently hit. The affected pipe was not listed on a map of Freedom’s grounds, according to WCHS. Meanwhile, the fallout from the Jan. 9 leak continues, as it was reported by AP this week that Freedom Industries, which recently filed for bankruptcy, withheld from officials for days after the spill the existence of another harmful chemical known as stripped PPH, a “serious” skin and eye irritant. On Friday, the Charleston Gazette reported that five schools in the leak’s surrounding counties were found to have high levels of MCHM in their water supply. The detected levels are below the threshold that the federal Centers for Disease Control has said is safe for everyone but pregnant women to consume, though they are above the state’s “non-detect” level. The West Virginia National Guard conducted the water tests this week at all 69 schools in Kanawha County as well as schools in nearby counties. The Gazette also reported Friday that state and federal agencies charged with responding to the original Elk River leak have had their budgets cut in recent years. Insiders connected with the agencies posit those cuts have hampered their ability to prevent and respond to incidents like the leak in West Virginia. 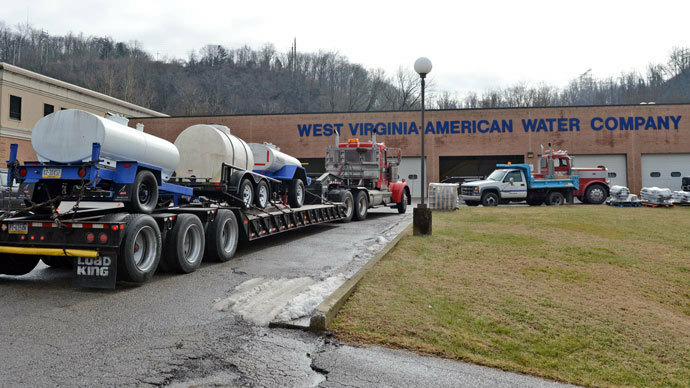 This week three US Senators introduced new legislation aimed at preventing future chemical spills of the sort that have impacted West Virginia. The new bill, presented on Tuesday, would seek to streamline oversight of chemical facilities, as well as facilitate regular inspections by state officials and ensure response procedures are in place in the event of an accident, reported Reuters. "This commonsense bill makes sure all chemicals are appropriately monitored and protects the safety of the water we consume and use every day," Senator Barbara Boxer said in a statement. "No West Virginian or American should have to worry about the contamination of their water supply from a chemical spill."